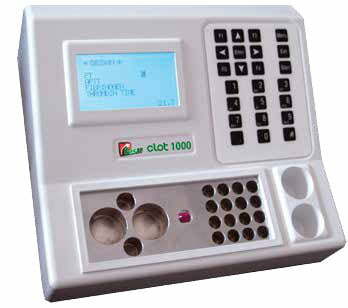 Gesan Coagulation System is o semiautomated coagulameter; a high performance onalyzer with photo-optical clot detection. 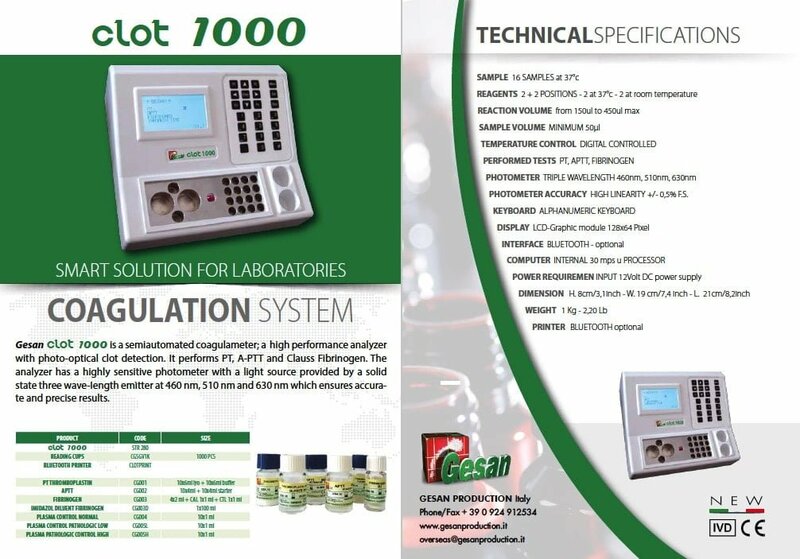 It performs PT, A-PTT and Clauss Fibrinogen. The analyzer has a highly sensitive photometer with a light source provided by a solid state three wave-Iength emìtter al 460 nm, 510 nm and 630 nm which ensures accurate and precise results.